St. Scholastica will host a two-part forum this fall and next spring exploring the relationships between art, community and environmental justice. The event is part of St. Scholastica's 2017-18 Oreck-Alpern Interreligious Forum. 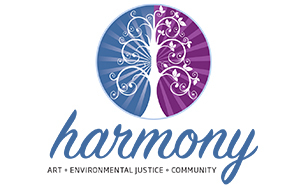 The collaborative, multidimensional events are under the umbrella of "HARMONY: Environmental Justice, Collaboration, and the Power of Art." Both events will explore the theme of cross-cultural collaboration on our environment. The fall forum will be from 2 to 6 p.m. Sunday, Oct. 22 in St. Scholastica's Mitchell Auditorium. The agenda will include a panel discussion among community spiritual leaders, a reception with refreshments, and music and dance performances by local artists, all with a focus on spiritual and cultural values about the earth. The focus will be on the cultural values that make up human relationships to the Earth. Panelists will include: Pao Vang, Hmong Elder; Skip Sandman, Anishinaabe Elder; Linda Eason, Gabbai (spiritual leader) at Temple Israel; Kevin Vaughan, Director, Catholic Studies, The College of St. Scholastica; and the Rev. Richard Coleman, St. Mark African Methodist Episcopal Church. Performers will include singer-songwriter Annie Humphrey, storyteller Anne Dunn, hip hop artist Thomas X, and hand-drummer Brendan Strong with dancer Regina LaRoche, hip hop and spoken word artists Daniel Oyinloye and Sandra Gbeintor and singer Ntsang Anye. The panelists and performing artists will offer parallel conversations about the environment in words, music, and dance. "Having these conversations at the community level is important so that we can all remain directly connected to our environment," said event organizer Elyse Carter-Vosen, St. Scholastica associate professor in Global, Cultural and Language studies. "And by ‘our environment,' we mean not just ‘nature and the outdoors,' but also our whole community around us: our neighborhoods, and everyone in them. People from many different cultural and spiritual perspectives are working on taking care of our community environment, and it will be inspiring to hear about the unique values that guide their actions." The forum's spring event, which will focus on collaborations among different community organizations, will be from 2 to 6 p.m. Sunday, April 15 in the Mitchell Auditorium on campus. study, and collaborative projects and events. Its work represents an ongoing 12-year set of relationships and partnerships in the region.